Solutions to the horticulture industry’s most pressing problems aren’t going to come from either extreme of our country’s political system. They’ll be found nearer the middle. As expected, the November midterm elections switched up the power structure in Washington and in the new 116th Congress. A few thoughts on the election results, then on to our top issue priorities for 2019. About that much-anticipated blue-wave, whether it happened or not depends on where you are. A blue-wave swept through Southern California, fundamentally changing the political complexion of places like Orange County, historically a Republican bastion. The wave even splashed into the San Joaquin Valley, where incumbent Republicans Jeff Denham and David Valadao conceded as the final ballots were counted. This is a real loss for horticulture, as members like these two have been some of our best go-to legislators. In the rest of the country, Democrats made gains that were significant but not unusual for a midterm election where the other party controls the White House. Historically, 32 seats on average swing in such elections. Democrats did a bit better, gaining about 40 seats, mostly in suburban districts on the outskirts of places like New York, Washington, Chicago, Minneapolis, and elsewhere. A record number of women will serve in the 116th Congress. At the end of the day, divided government isn’t such a bad thing. It forces both parties to reach and work across the aisle to get anything done. Though compromise seems a dirty word these days, it’s essential in our political system. It’s hard, but possible. And on our toughest challenges, the solutions aren’t going to come from either extreme. They’ll be found nearer the middle. Is There any Labor Relief in Sight? For the new Democratic majority in the House, top immigration priorities will include advancing a solution for so-called Dreamers, and for individuals with “temporary protected status” that the Trump Administration plans to let expire. A fair number of these folks are employed in horticulture, especially in the landscaping area. The bigger deals for us are an agricultural labor reform bill, which is possible even in a Democratic house, though it will look different than the ideologically far-right proposal some lawmakers pushed last year. H-2B cap relief, another urgent priority for our landscape sector, will be very tough if the proposal under consideration in the lame-duck session does not advance. The best hope for relief in the near future is the Administration’s regulatory effort to modernize the H-2A ag visa program. Already, a proposal out for comment would eliminate the need to run expensive and non-productive newspaper advertising, relying instead on electronic job postings. Other process streamlining and cost-reduction measures are likely to follow. Thankfully, Agriculture Secretary Sonny Perdue and staff continue pushing common-sense reforms. Transportation issues are a big deal for the horticulture industry. Costs are high; availability is a problem. We are pushing for some flexibility in the Hours of Service rules that were made worse when the Electronic Logging Device requirement phased in. My colleague Tal Coley continues to lead the charge for a clarification that our greenhouse and nursery growers fall within the rules’ agricultural exemption. Travel time within a 150-mile radius around a source of an agricultural product does not count toward daily and weekly hour limits. But right now, horticulture is in a gray area. The federal definition for this ag exemption is very vague and subject to interpretation. We as an industry need and deserve clarity that nursery and greenhouse crops are indeed agricultural. While regulatory changes could provide this clarity, we are also working with sympathetic Republicans and Democrats on a legislative directive. Finally, infrastructure tops the list of areas for possible bipartisan collaboration in the new Congress. Infrastructure investments help our industry in several ways. For one, most projects involve landscaping and/or environmental remediation, creating business opportunities. Secondly, so much of what we do involves moving plants and crews on trucks, all made easier when supported by safe, modern, and efficient infrastructure. In January, our Horticultural Research Institute (HRI) will finalize the report resulting from a research priorities summit held in mid-December. Presuming Congress got the Farm Bill done in December, we’ll look to continue leveraging solutions through Farm Bill research and innovation funding, with the new HRI report to help guide the focus. We have a lot going on with respect to addressing plant pest and disease concerns, and modernizing plant certification programs. 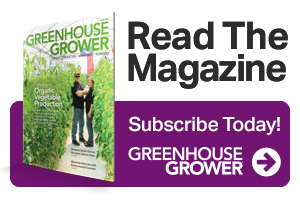 The U.S.-Canada Greenhouse-Grown Plant Certification Program has been revised, and we’re helping growers understand how to participate. The pilot certification program for plant cuttings produced offshore continues during the shipping now underway. And, the Systems Approach for the Nursery Certification (SANC) pilot program is nearing completion. Nineteen growing operations from coast to coast are participating. We’ll be discussing all these programs at Cultivate’19, planned for July 13-16, and at the Plug & Cutting conference, scheduled for September 4–6, 2019, in Charlotte, NC. 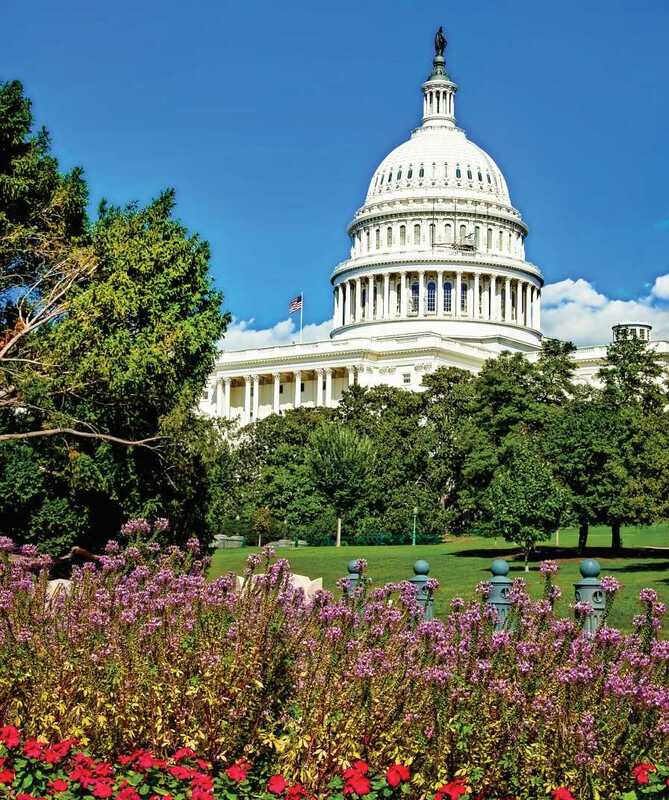 Speaking of September, go ahead and mark your calendar for September 16–18, to join us in the Nation’s Capitol for Impact Washington, the legislative summit. It’ll be a great time to strengthen relationships with key elected leaders and policy makers. 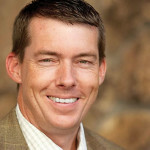 Craig J. Regelbrugge ([email protected]) is senior vice president, industry advocacy and research for AmericanHort. See all author stories here.